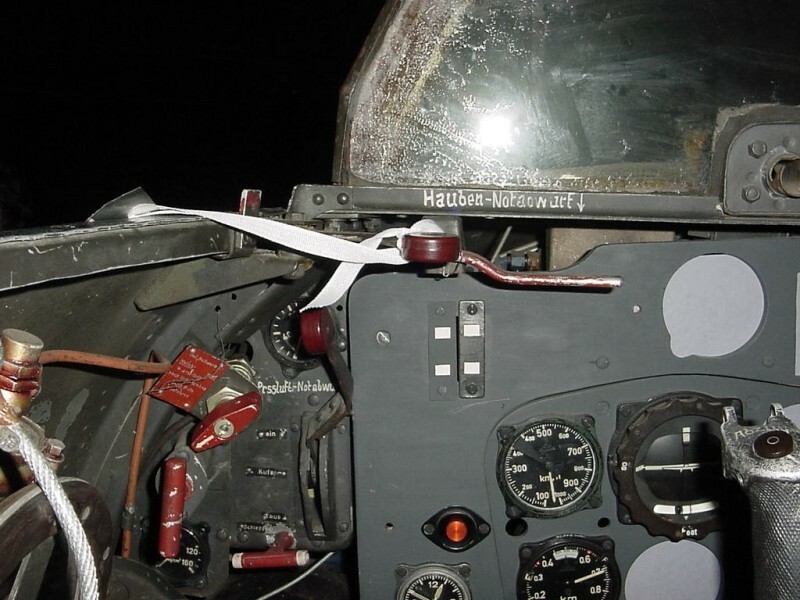 The lever for the landing skid with three positions as far as I know: In - Ruhe - Aus. With the lever in 'Aus' the skid has no springing. Yet I don't see a 'Ruhe' marking.